It’s time again for our monthly Momtrends Virtual Book Chat. On Tuesday, March 21st at 1 pm ET / 10 am PT, we will be talking with Jill Simonian, parenting and lifestyle expert and the founder of TheFABMom.com. 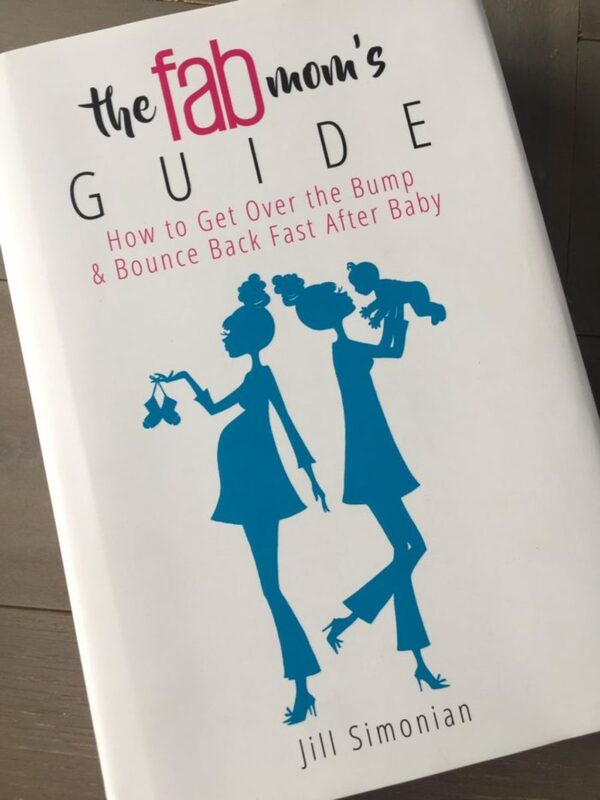 Get your questions ready as we discuss her new release, The Fab Mom&apos;s Guide: How to Get Over the Bump & Bounce Back Fast After Baby. Whether it’s on your smartphone, tablet, or computer, check in with us on Twitter where we’ll be giving away four copies of this modern new mom guide plus one lucky reader will win a $50 Amazon gift card! And, don’t forget to RSVP below in order to be eligible to win! Are you in search of some motivational tips and practical advice on how to conquer the lifestyle changes motherhood brings? Better yet, are you looking for ways to minimize your exhaustion while maximizing your time and focus? Then come chat with us as we discuss Jill’s new book, The Fab Mom&apos;s Guide: How to Get Over the Bump & Bounce Back Fast After Baby. If you are like most moms, the challenges associated with becoming a new mom can be overwhelming at times. Author Jill Simonian felt the same exact way. That’s why she wrote this book to help moms like you overcome these issues with grace, humility, and humor. No more excuses! It’s time to get organized and take control of your life. Soundlike something that might interest you? Then, mark your calendar for Tuesday and tweet along with us using the hashtags #MTBookChat and #FABMomGuide. And, don’t forget to invite some friends to join along in our virtual book chat community for next month’s #MTBookChat on April 18th at 1 pm ET. We strive to bring you the hottest authors in the publishing biz today! Let us know if your must-read author has an upcoming book release. We’re always on the look-out for new writers to feature. Soon you will discover…reading and tweeting have never been so much fun!